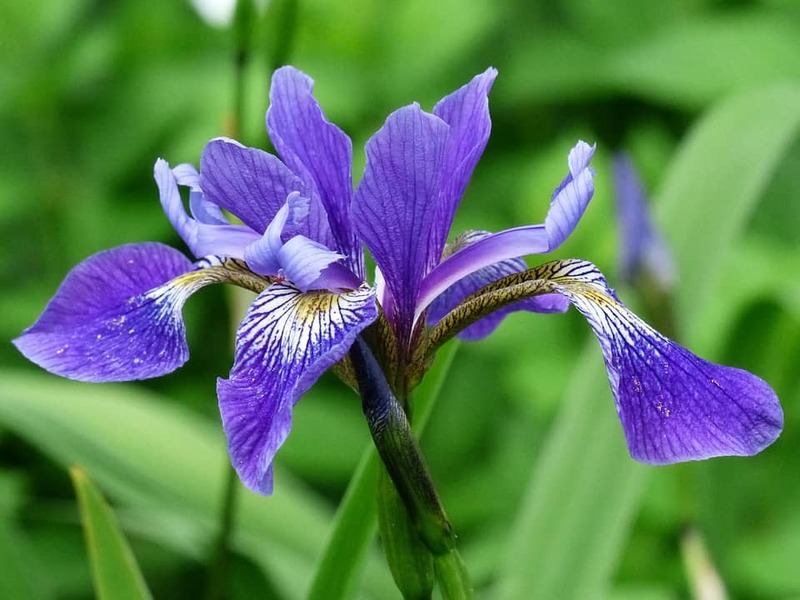 Learn more about more than 40 types of blue flowers including Iris, Hyydrangea and Cornflower, with our handy guide, plus find the best types of soil and light to plant them in. 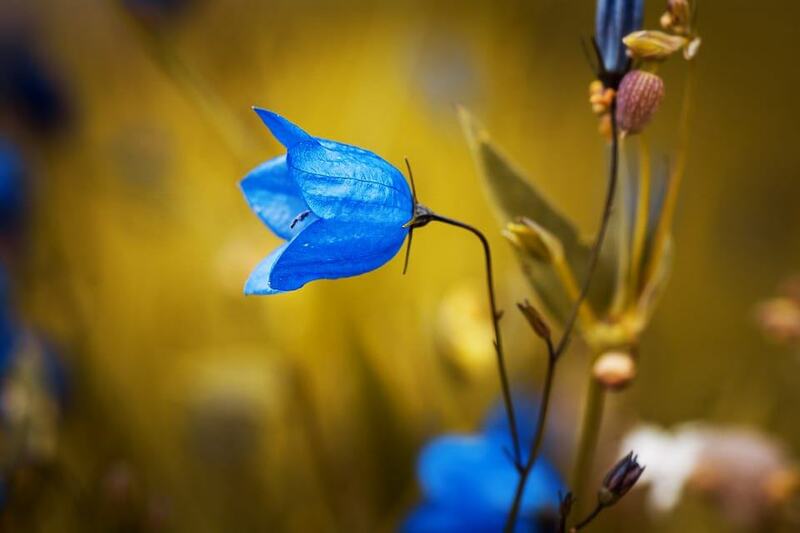 Known for attracting bees and butterflies, these blue flowers are unique because they have 10 petals that sprout out like trumpets. 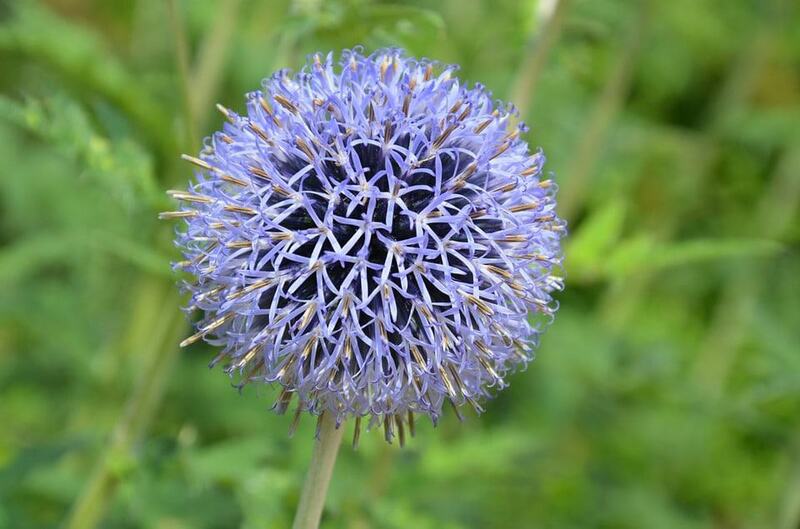 The globe thistle adds an interesting look to any garden and is named for its globe shaped blooms. 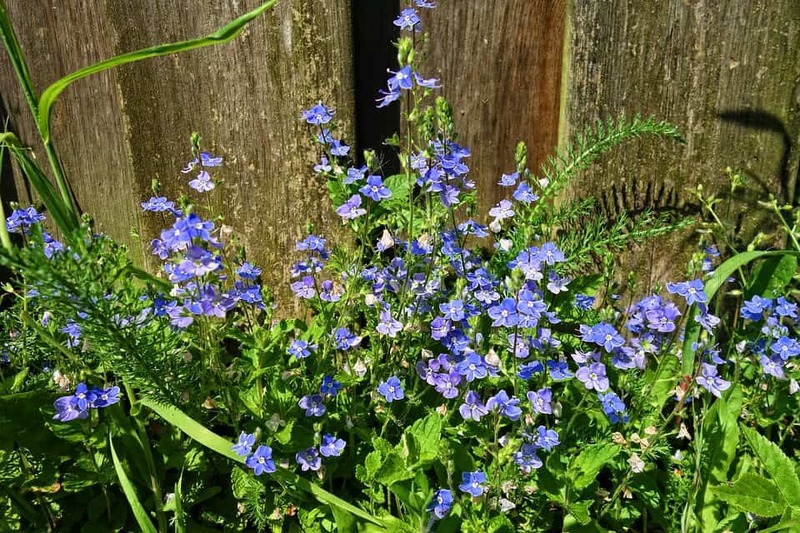 These blue flowers are also fantastic for attracting bees and butterflies. The Iris features lovely , colorful petals which will sometimes bloom both in the beginning of spring and then again in late summer. They require a lot of water, so make sure to plant them near a water source such as a stream or a sprinkler. Plant in all sun types. These flowers are bushy blossoms that are easy to recognize both by their look and scent. Hydrangea are naturally purple, but you can turn them blue by planting them in an acidic soil. The highly scented blooms will attract bees, bunnies and even deer to your garden. 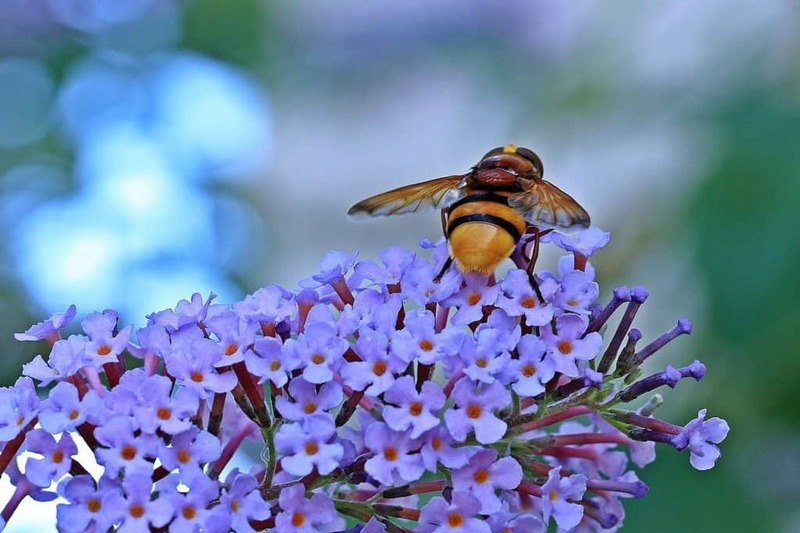 Empire Blue Butterfly Bush feature pale blue flowers with bright orange centers and are sure to attract people as well! These cone shaped flowers will attract many bees, birds and butterflies to your garden. Be careful that you don’t try to join in on the feast, as oxford blues can be dangerous if ingested by humans or pets. Blue delphiniums blooms are a popular choice in wildflower bouquets. Although they are dainty, they can grow very tall, so make sure to give them something to lean up against. With something to lean on, they can reach their full potential. 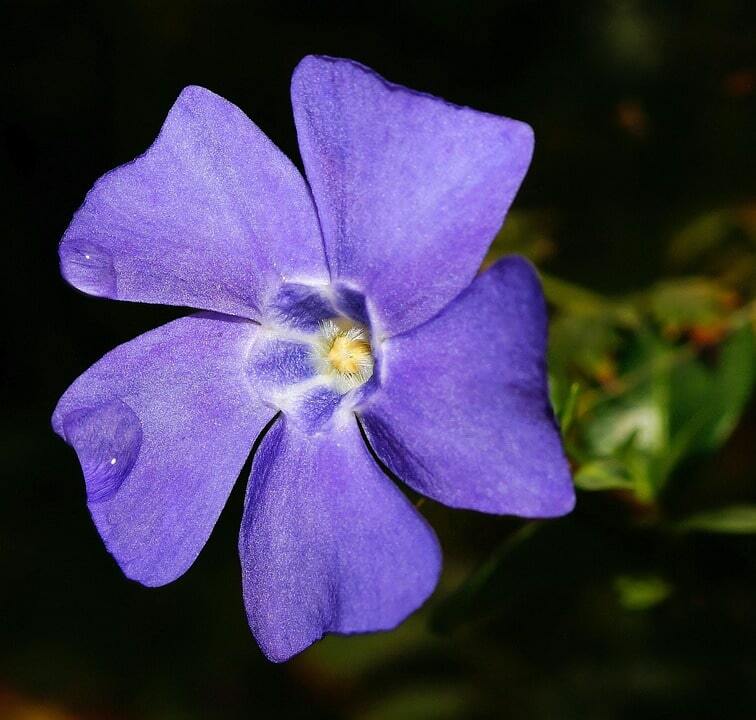 A perfect ground cover that produces glossy, dark green leaves and blue or white flowers in early spring. Grow vinca anywhere you need a fast-growing cover. 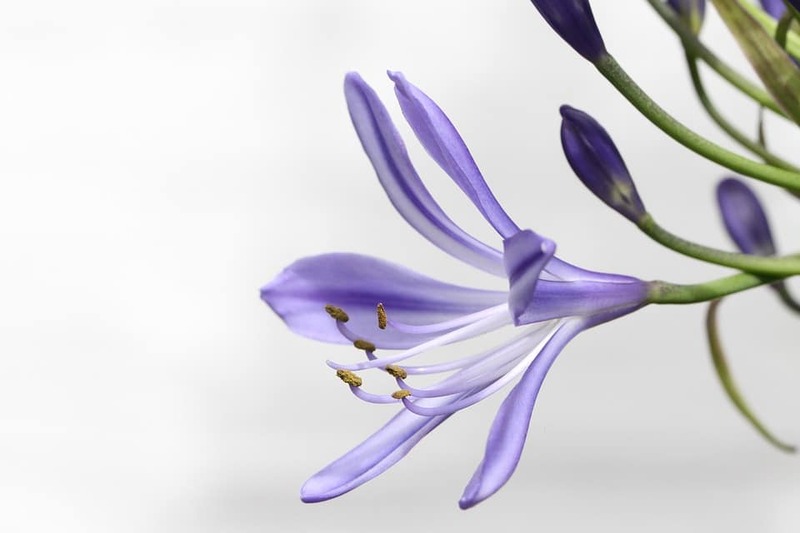 No one has to worry about forgetting this stunning flower. Although it may be tiny, its bright color will quickly make this one of your favorites. The blooms self seed, so you can have plenty of these in your garden all year long. 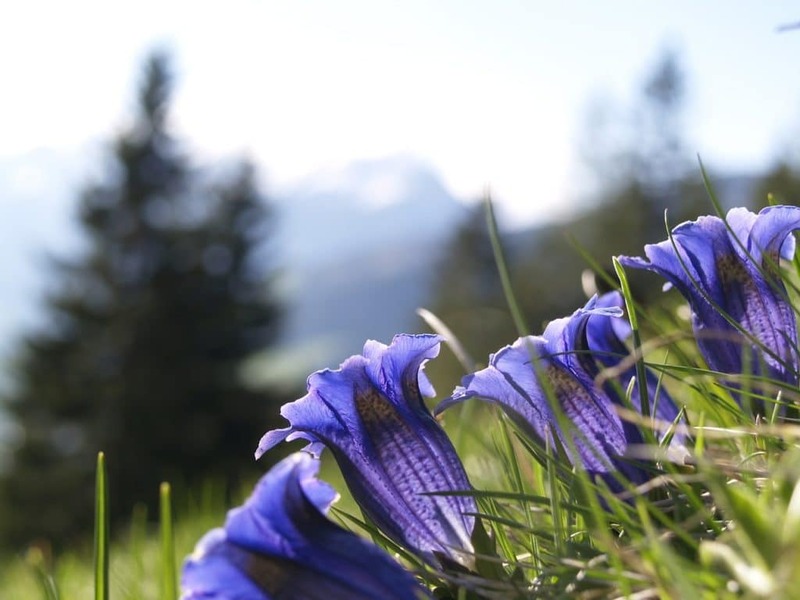 Although very pretty, gentians are hard to grow. They make great ground covering, but to have guaranteed success you purchase them when they have already started to grow and are about to bloom. 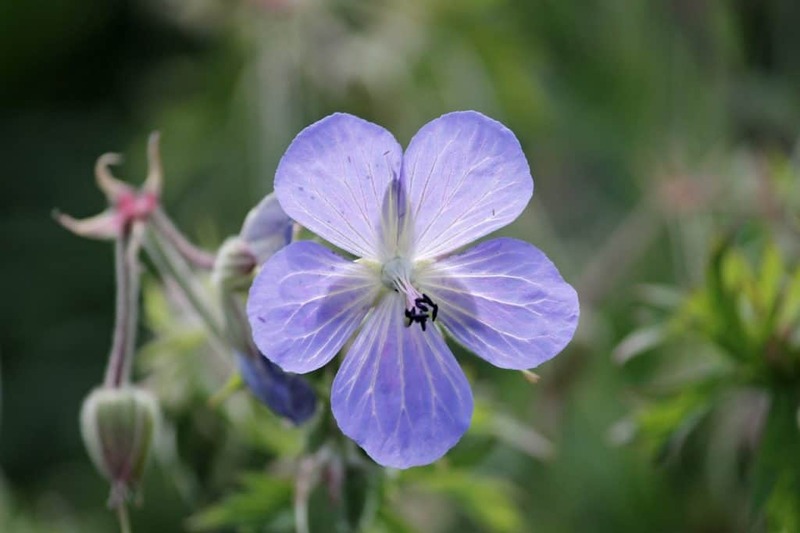 Perennial geranium flowers seed easily and bloom from early summer to early fall. 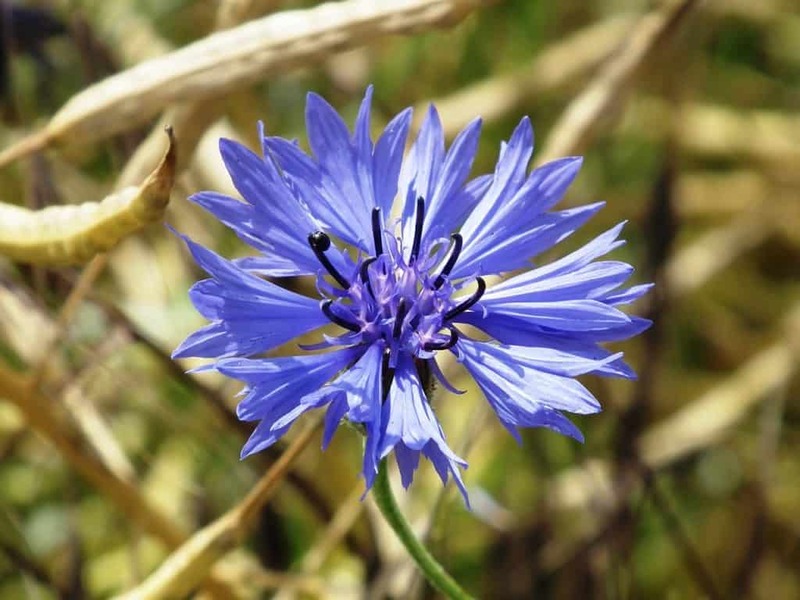 The flowers come in a variety of colors, including blue, and have a peppery smell. This dainty flower is perfect for a garden that doesn’t get a lot of sun. Brunnera’s heart shaped leaves are also a lovely addition to any floral arrangement. 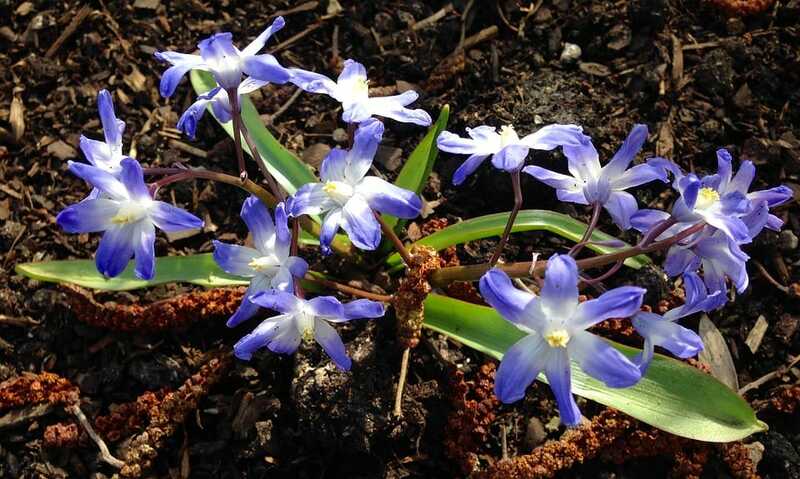 These bulbs bloom in spring, producing clusters of tiny blue or purple flowers that resemble grapes. Grape Hyacinth are the perfect flowers for attracting birds to your yard, and their blue coloring is stunning. 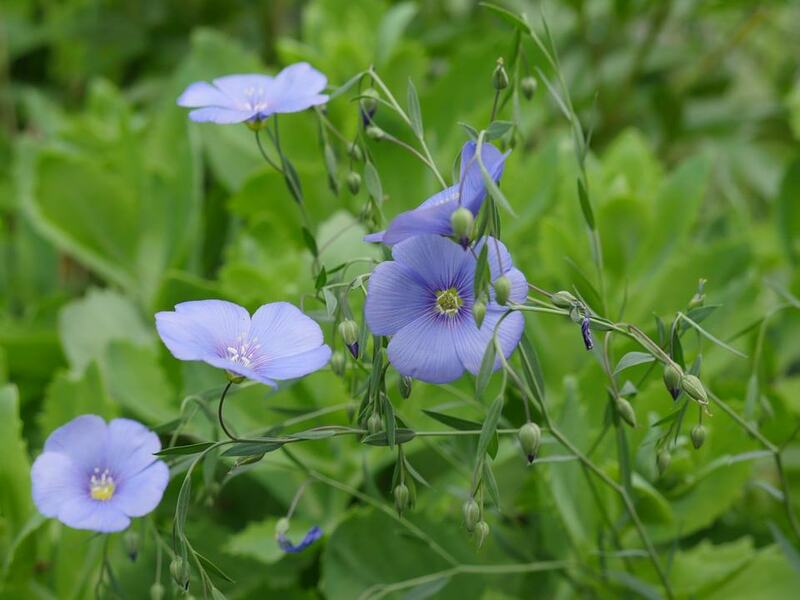 These blooms have the perfect name, the 5 petals give them a star shape and they are a shy shade of blue. While they start out blue, they will turn a lovely shade of yellow during summer. If you have problems with deer and rabbits eating your flowers, this is the perfect one to grow as the scent will help keep them away. 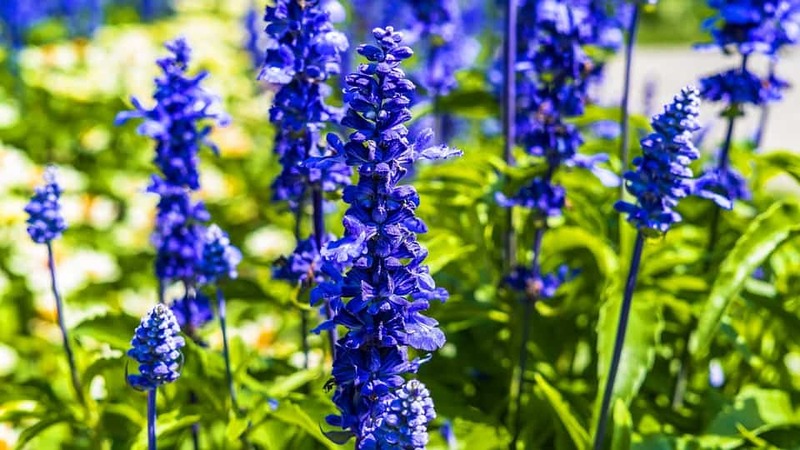 Salvia spreads quickly, forming clump like masses with stalks of blue, red or lavender flowers. 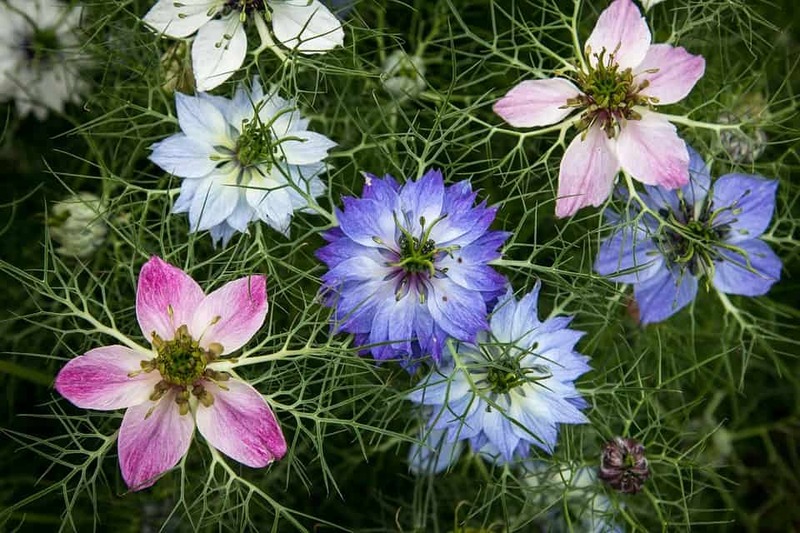 While it is considered an annual, the plant self-seeds quickly, so you will probably have some of these flowers throughout your garden. This adorable little flower with bell shaped blooms is sure to be a favorite in any garden. 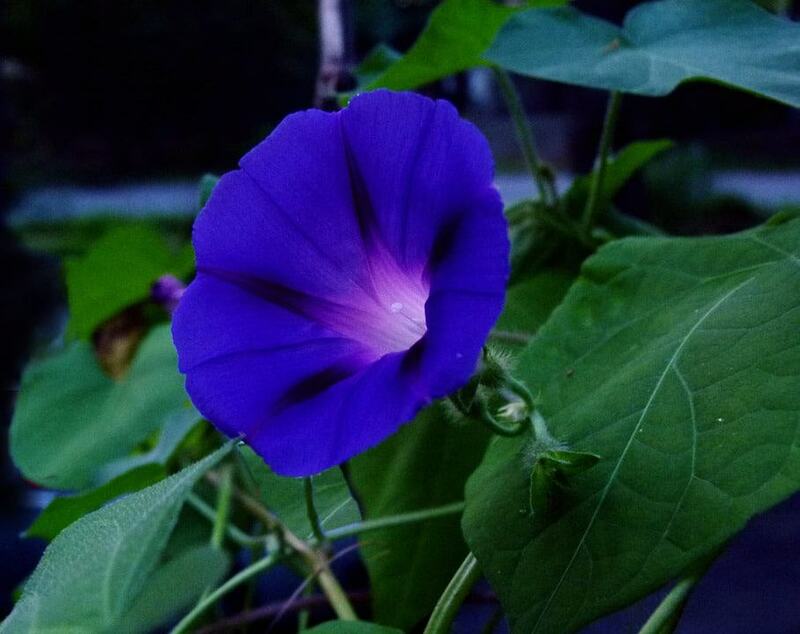 While it can grow in both white and purple/blue varieties, blue is the most common. 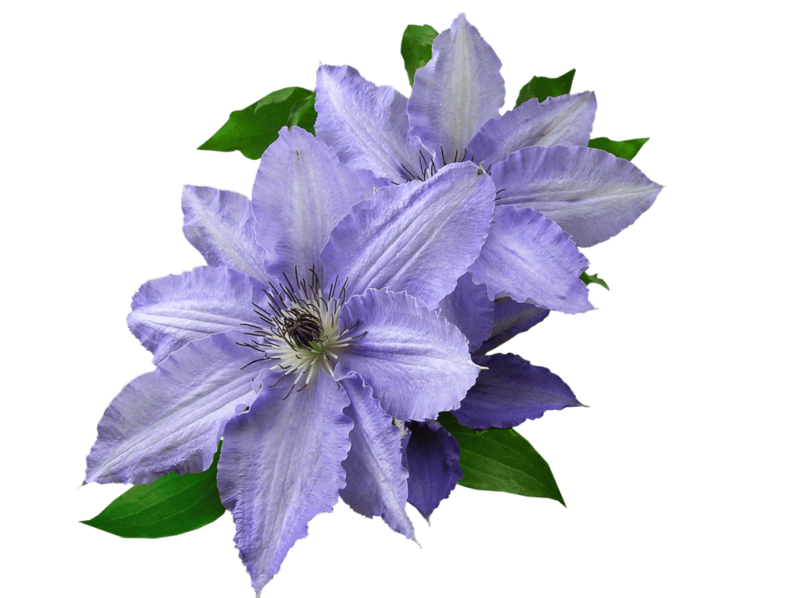 Bellflowers make a perfect ground cover plant and also grow well in window boxes. This is worth planting in your garden if you are an early riser. The large petals on this flower close up every evening and then reopen in the morning. They come in many colors, although blue is a favorite. If you are looking for a striking plant that has an interesting history, this is the one. 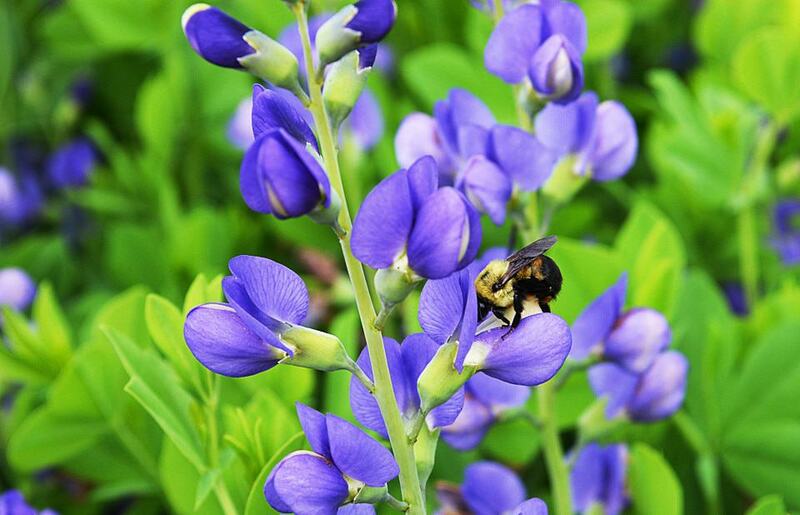 The blue false indigo is easy to take care of, and was used by Native Americans and early European settlers to dye cloth. If you have poor soil in your yard, this is the plant for you. 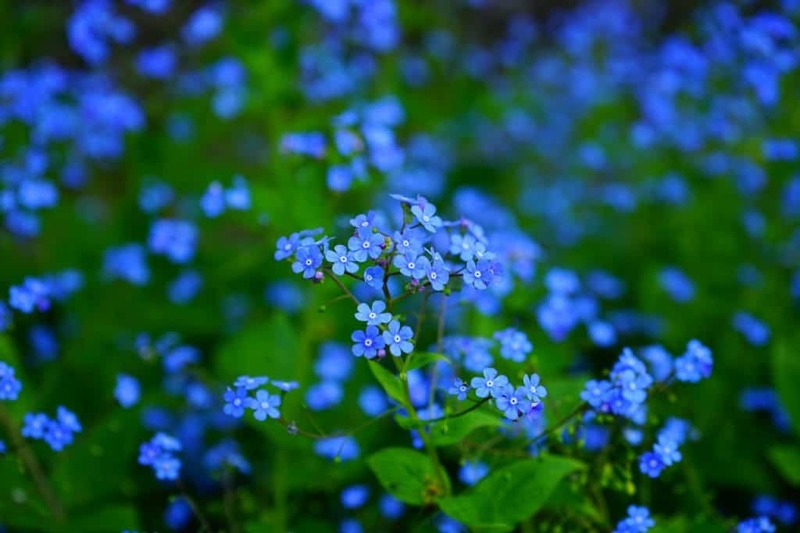 These tiny blue petals with red and green stems are the perfect addition to any yard. This easy to grow flower is perfect for attracting butterflies. It is also a fantastic flower to use as ground cover for plants that need help establishing deep roots. 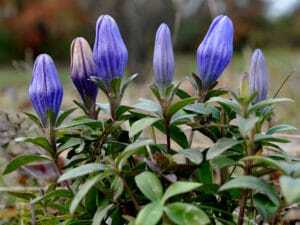 A tall plant which produces colorful globes of blue or white trumpet shaped flowers in summer and fall. Agapanthus’ thick green leaves add texture to flower beds and make a great border. Another flower which honey bees love, this plant produces many tiny blooms which give it the illusion of having a blue mist. After it has finished blooming make sure to trim the plant so that it will create new blooms next season. Even if you live in the correct zone, this flower is very hard to grow. It needs very specific temperatures and just the right amount of water. 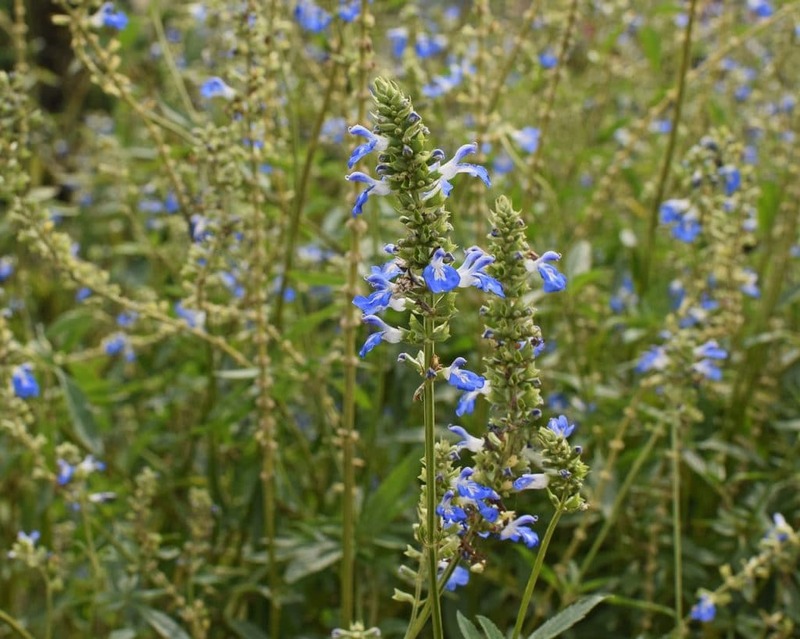 If you are able to successfully grow this plant you will be rewarded with a very unique shade of blue blooms. This plant has to be seen to truly be appreciated. With a bloom that looks like it is growing inside out, it is sure to attract attention. They are easy to grow and very easy to collect seeds from. If you want a plant that will bring bright colors to your garden early in the spring, this is the one. 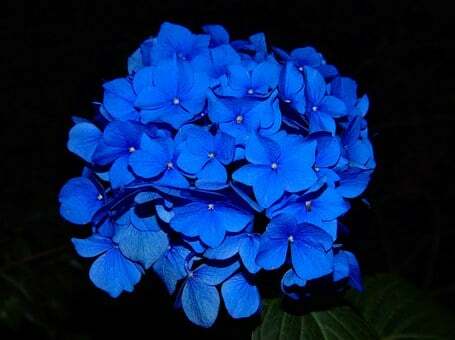 It has bright blue blooms which start off as a lovely pink. They are perfect for areas that don’t get a lot of sun. 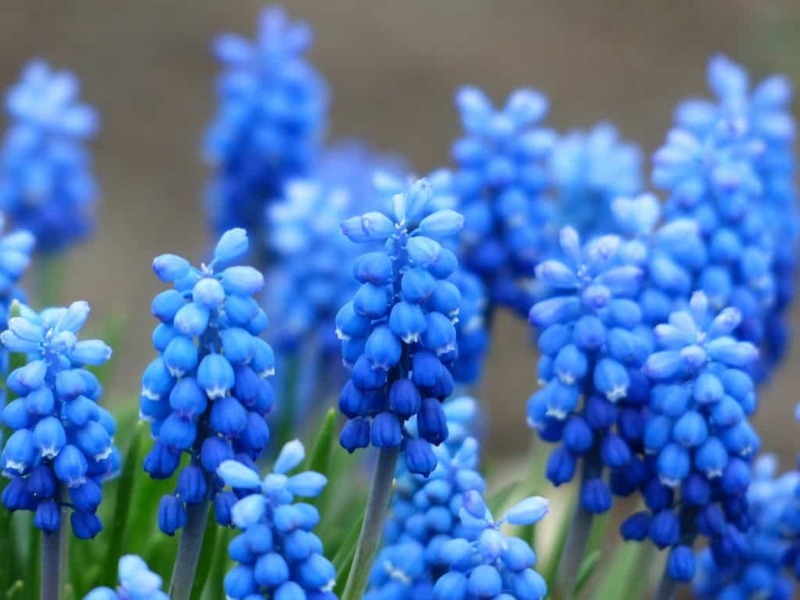 You only need to plant a few bulbs from this plant to have an entire sea of blue blossoms. They self seed very quickly and are extremely easy to grow. Although these flowers are short lived, when they do bloom they are a stunning addition to any garden as they come in call colors of the rainbow. This flower is perfect if you want to attract hummingbirds to your garden. 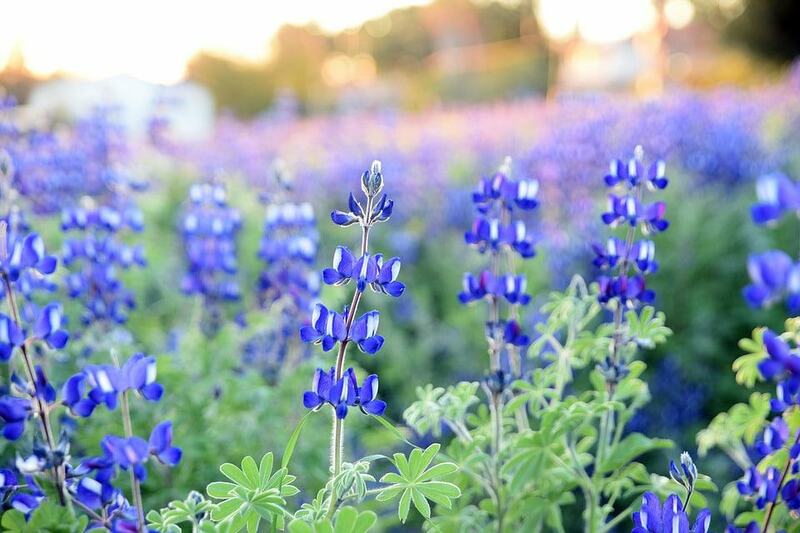 This delicate little flower is easy to grow, but you’ll want to plant plenty of them. 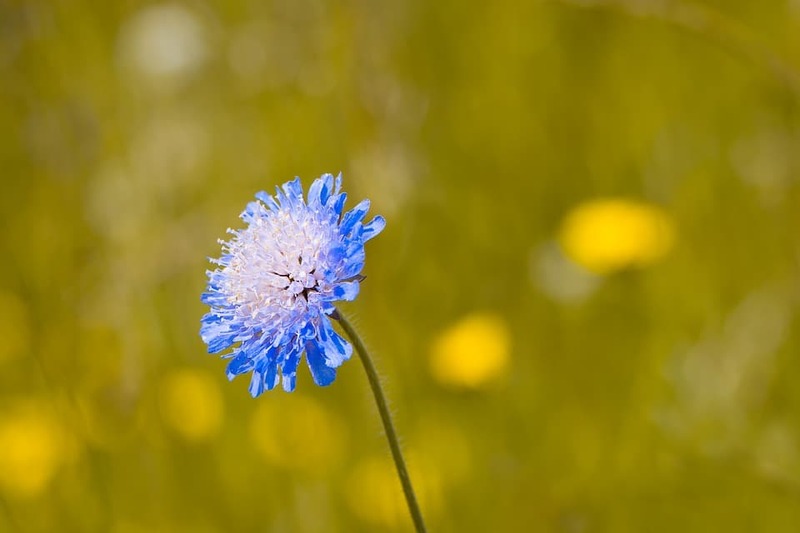 Each bloom lasts but a day, but the plant stays in bloom for a while since it produces so many — not only in blue, but also clear yellow, depending on the variety. 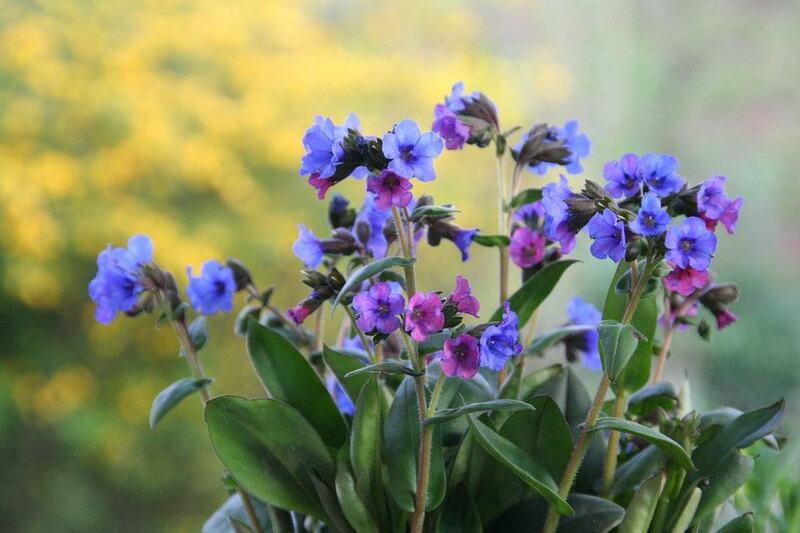 The tiny clustered flowers of lobelia look lovely in hanging baskets. 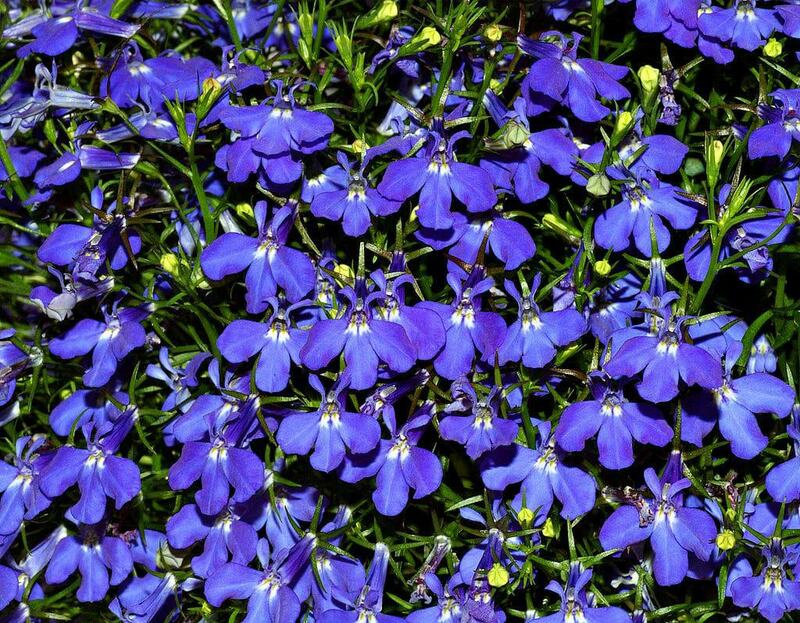 Lobelia are most commonly blue although they may also be white. 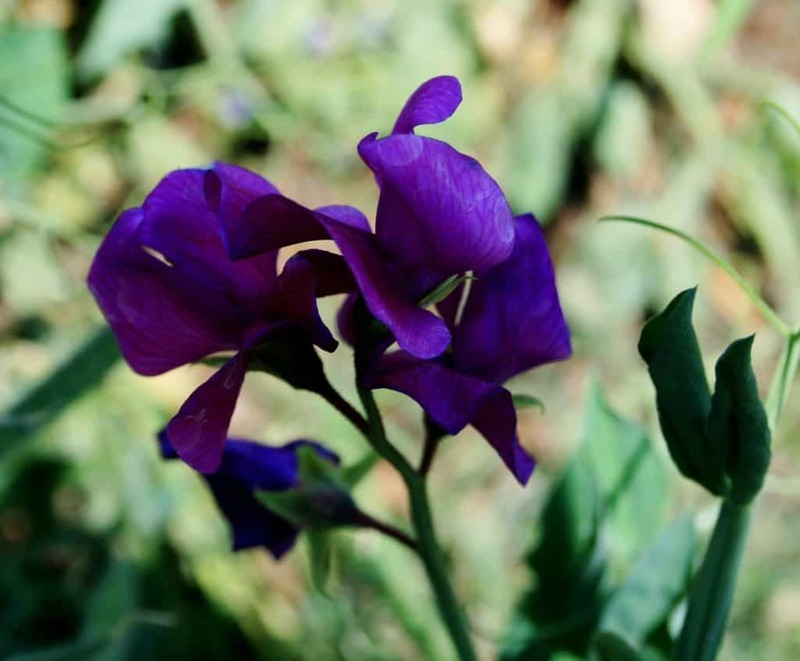 Most commonly used in perfumes, the sweet pea makes a darling addition to any garden. Although they can be hard to grow, once they start they become very hardy and will be stick around for a while. 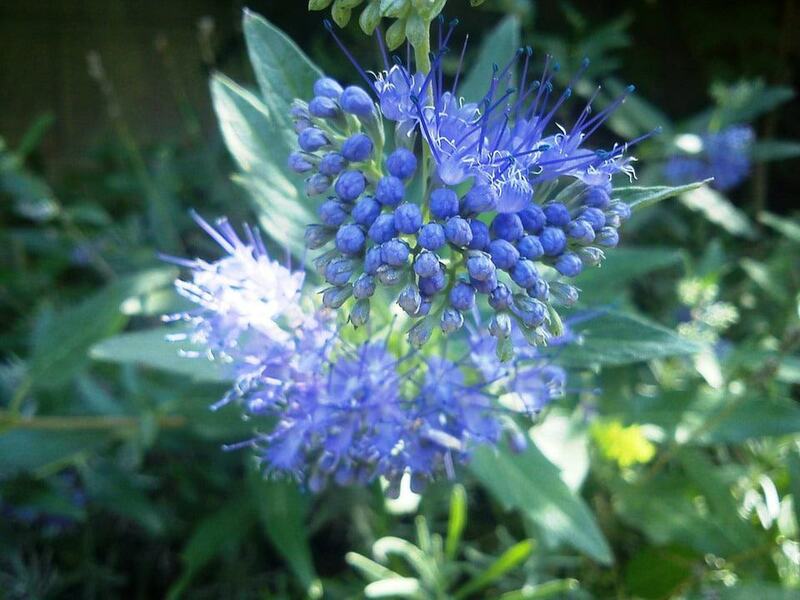 A spiky plant which has small blue blooms on the end, they can get up to 3 feet tall and bloom all season long. They are perfect for anyone trying to attract butterflies and hummingbirds. Glory of the Snow is true to its name. An early spring bloomer, it’s always a delight to catch a peek at the pretty petite flowers appearing through the snow. Also called Scarlet Pimpernel, this is a fascinating plant. The blossoms of the weatherglass close up when rain is near. It has been used for over a hundred years to help predict the weather before technology could. This bloom has a very descriptive name. The flowers emerge from what resembles a duck’s bill. Once in bloom , the flowers only last one day. Thankfully each plant will grow multiple blooms which will open at different times. 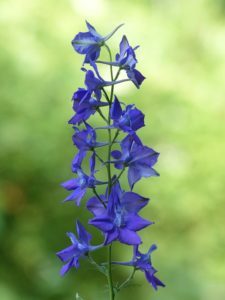 Larkspur are easy to care for, producing tall stalks of airy flowers. Plant these annuals in early spring as soon as the soil is soft for blooms that will last well into fall. Exotic passion flowers can be difficult to grow, if you want to try though, this is the one. It has 5 layers of petals that are different colors and sizes with a very unique looking stem. Bluecrown Passionflower is easy to grow and very hardy. It will continue to regrow even after being exposed to several winters. 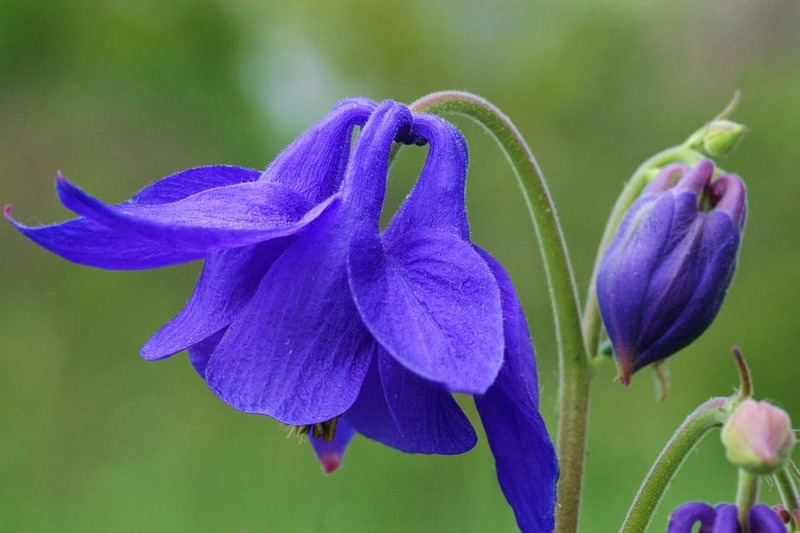 These bell shaped blooms are a bright shade of blue. They do great in areas with lots of sun and sandy soil. This plant has a deceptive name because it’s not actually grass at all. 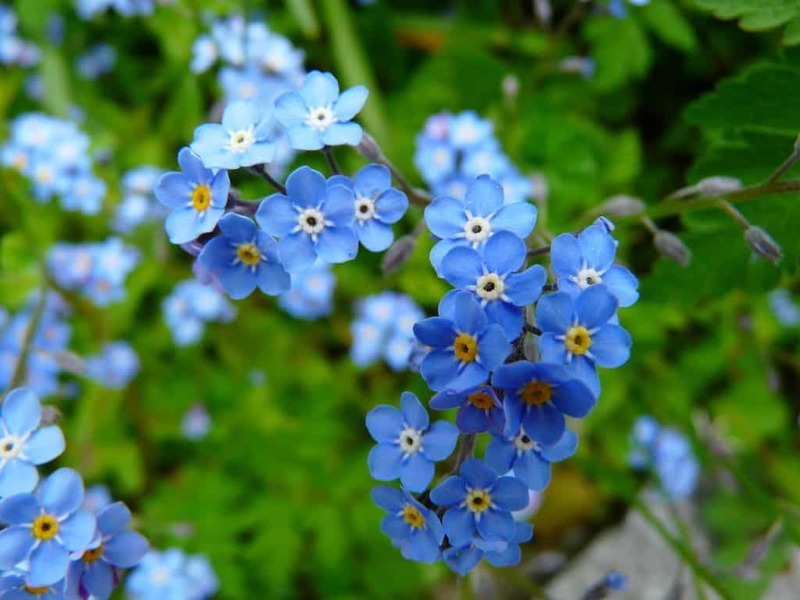 It is a very easy to grow flower that will attract an array of birds to your garden. Learn about other types of flowers here.